North Carolina made some huge changes to their ABC laws pertaining to craft beer several years ago and the result has been tremendous. In fact, the favorable changes to the laws is directly responsible for the rapid growth of the craft beer industry within the State. One of the most important changes allows Breweries to own/operate retail arms including Tap Rooms and/or Brewpubs. So, we can sell our beer directly to our fans. We are aware that some of the surrounding States do not allow their Breweries the same options. Many of them allow a Brewery to sell an empty pint glass with tickets for a set number of tastings. 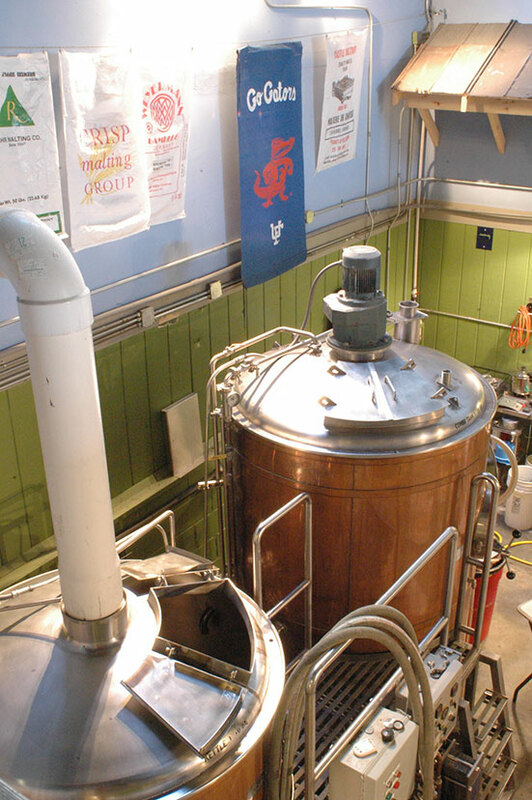 Some States don't allow their Breweries to sell any of their brews directly to the public. 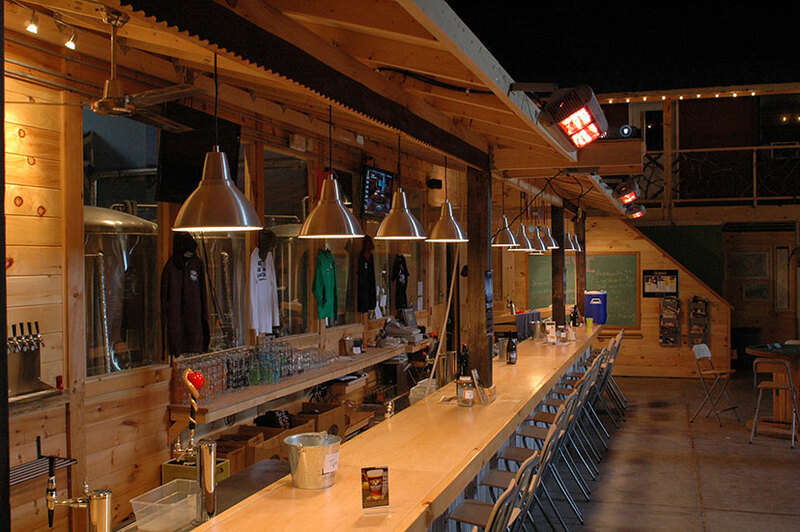 That said, we operate a Tap Room at our Brewery in Bryson City. Our beer can be purchased on draught or To Go directly from us. 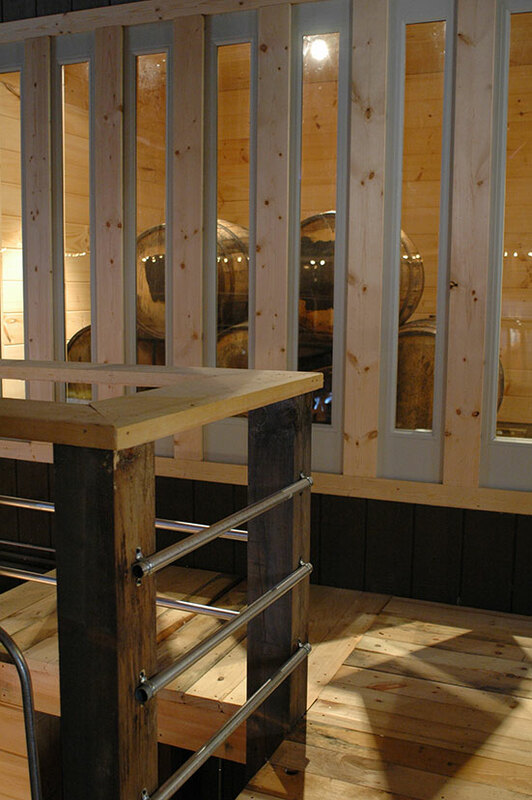 This allows us to offer a personal experience where you can get to know us and our craft beer in it's freshest form. 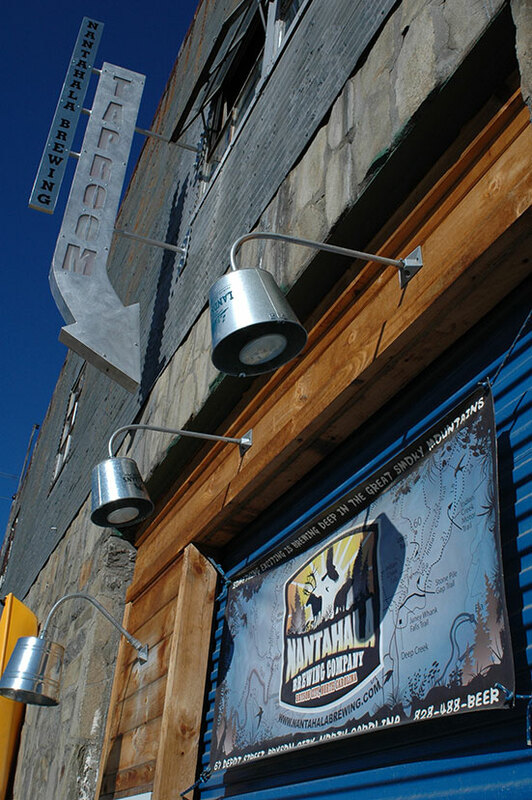 It also allows us to offer special, Tap Room only brews and bottle releases. So, if you're visiting our area and you love great beer, make time to come see us for a cold one...or two. 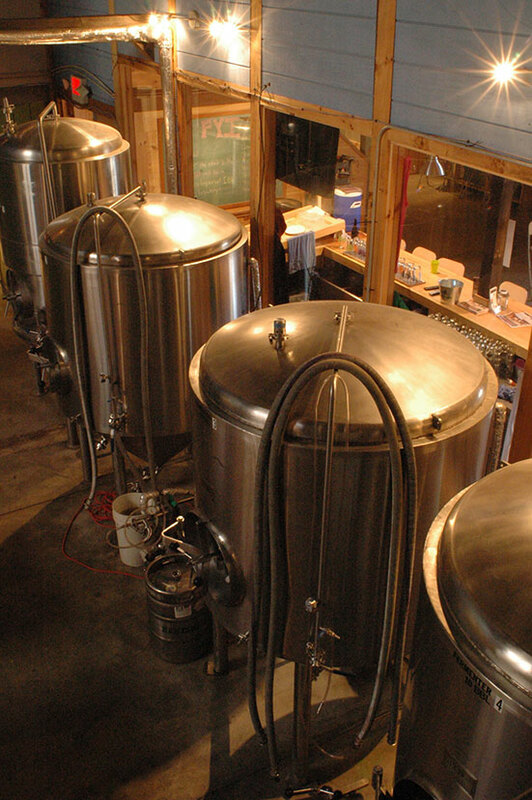 A: Our Tap Room and Brewery are located at 61 Depot Street in downtown Bryson City. We are directly across the street from the Great Smoky Mountains Railroad and next door to the Tuckaseegee Tavern. 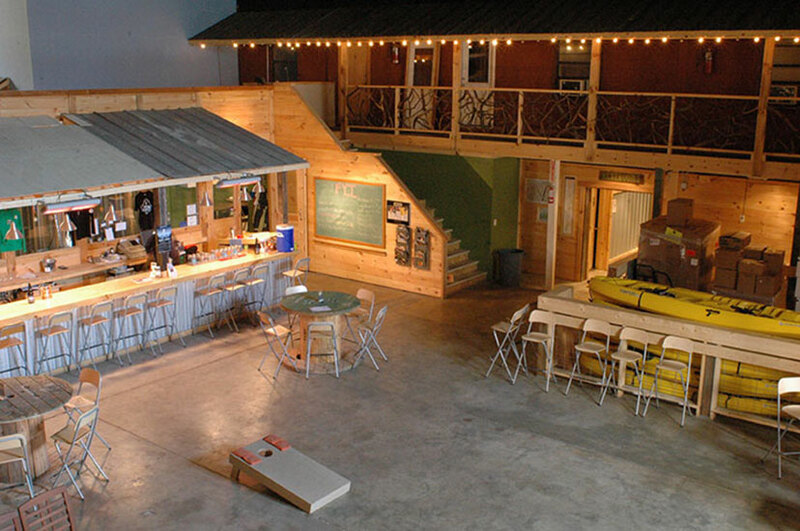 Q: Are Nantahala Brewing and the bar next door related? A: No. The folks who own/operate the CJ's Grille/Bryson City Sports Bar (next door) are not associated, however, they do support us by selling our beer. 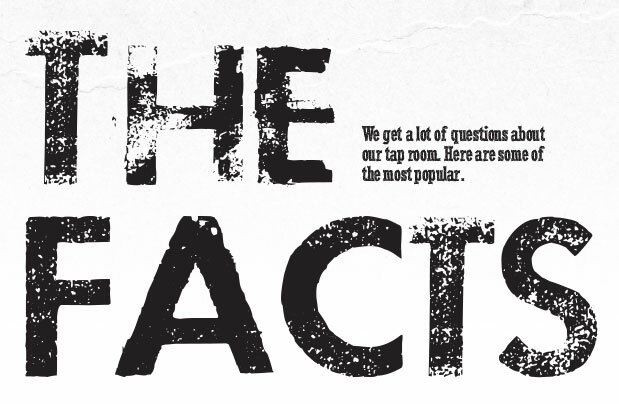 A: Our Tap Room hours vary based on the season. Our hours can be found here. A: Currently, we do not serve food. However, guests are welcome to grab food from anywhere in town and bring it in. Q: Can we tailgate at the brewery? A: Yes, our entire crew loves football and grilling out. So, we've provided grills out on the deck where you are welcome to tailgate anytime of the year. Q: Do you offer more than just your craft beer? A: Yes. We have over 32 taps and frequently showcase other North Carolina & regional breweries. Q: Do you have liquor? A: Yes. We understand that some of our guests do not indulge in beer. For that reason, we offer a full call and top shelf liquor selection at both our main Tap Room and the Green Room. Q: Do you have to be 21 to enter? A: Children and young adults that are under the age of 21 are welcome when accompanied with an adult. Children MUST BE supervised by an adult AT ALL TIMES. Unattended minors ARE NOT ALLOWED in our Tap Room. A: NEW! Dogs are NO LONGER ALLOWED inside of our taproom. They ARE allowed on the front porch ONLY. We are in the process of adding a kitchen to our taproom and North Carolina Law does not allow dogs (other than registered service dogs) in establishments where food is prepared and/or served. Q: Do you offer tours of the brewery? A: Yes. We offer Tours and Tastings on Fridays and Saturdays (Saturday only in the off-season). For more information on our Tours and Tastings click here. Q: Do you sell six packs to go? A: No. We do not currently package our beer in 12 oz bottles. However, we do offer our brews in 64 oz (half gallon) Growlers. We also offer specialty and limited release beers in 22 oz/750ml bottles throughout the year too. Q: Do you sell Growlers? A: Yes. We do sell most of our brews in 64 oz Growlers. Q: Do you fill other brewery's/bottle shop's Growlers? A: No. There are several reasons why we only sell our beer in our branded Growlers. NC LAW: North Carolina law requires us to use our branded Growlers unless we re-brand it with our branding and federally approved labels. This is not economically feasible for us to do. CLEAN GLASS: We professionally clean and sanitize EVERY Nantahala Brewing growler that is returned to us via our refill program. The cleaning and sanitizing process can take hours. So, even if we could legally fill a non-Nantahala Growler we wouldn't, due to lengthy cleaning process. BRANDING: We wouldn't want to put our beer in another brewery's branded growler. That would be like putting their name on our artwork and vise versa. A situation that's not fair to either brewer.